ODESSA, Tex. -- An emotional time took an even sadder turn for a Texas family. 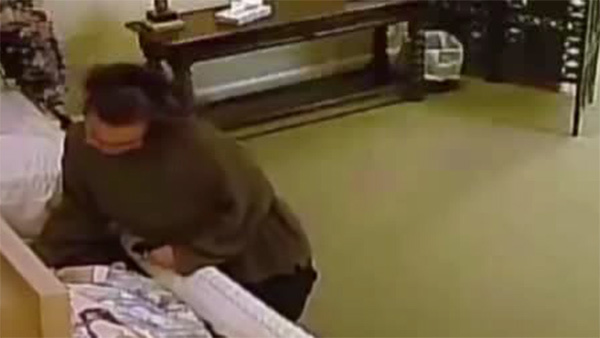 Surveillance video from a funeral home in Odessa shows a woman walking in off the street, and stealing a wedding ring right off a dead woman's finger. The family of 88-year-old Lois Hicks now wants justice. And funeral home officials say it is not a rare occurrence. They typically use replica or costume jewelry at viewings to prevent situations like this from happening. The video has been shared on social media thousands of time.